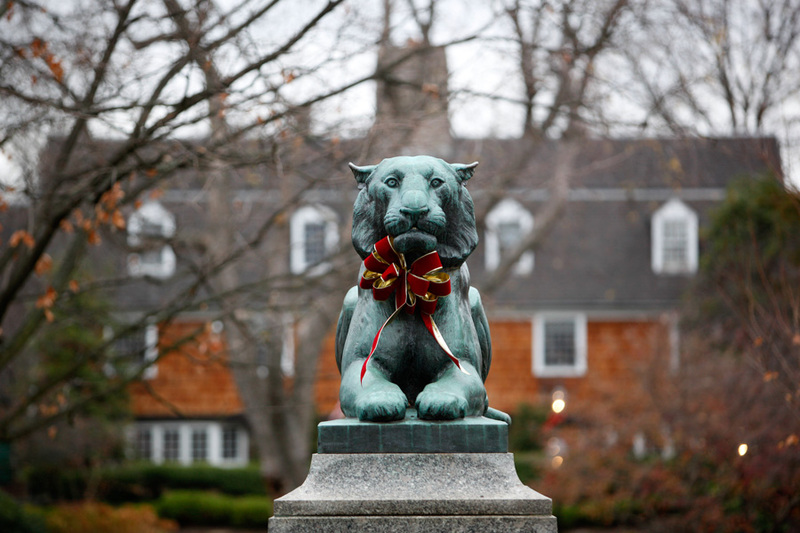 The Palmer Square bronze tiger created by renowned Brooklyn-born wildlife artist Charles R. Knight (1874-1953) is decked out for the holidays. The tiger is Princeton University's totem. Palmer Square, Princeton's handsome collection of Colonial Revival-style shops, restaurants, offices and residences was financed and built by Edgar Palmer, heir to a New Jersey zinc fortune. Architect Thomas Stapleton completed the design in 1929 but the project was delayed until 1936 due to the Depression. It wasn't fully completed until the 1980s.